Amy V. Cockcroft was a leader in nursing, always pushing for better-educated and better-prepared nurses and then for nurses who were ready to take on leadership positions. It’s why she established the College of Nursing’s Nursing Leadership Development program more than 20 years ago, to provide nurses with the skills, strategies, knowledge and techniques in becoming successful health care leaders within a generation of rapid change. “We must continue to develop strong nursing leaders who are not afraid to make a difference … who have a voice, and understand that they play an important role in our culture, communities, legislation and the financial arenas in our workplaces,” Cockcroft said during the program’s early years. 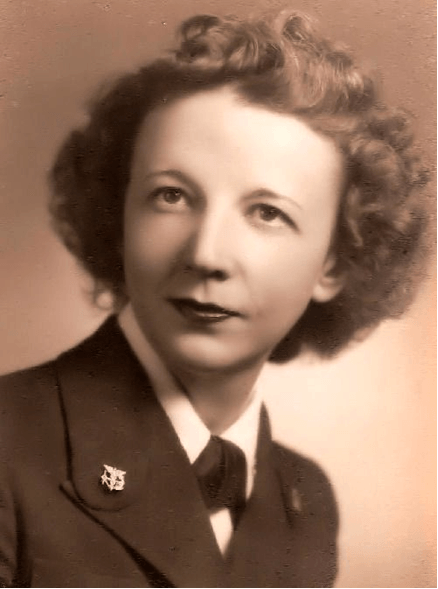 A native of Italy who served in the U.S. Navy during World War II, Cockcroft was the College of Nursing’s first dean from 1957 to 1969. She remained active in the leadership program she created until her death in 2007. The Amy V. Cockroft Leadership Development Program took a brief hiatus during the recession several years ago but has returned with a class of 16 fellows who graduated in March 2016. The leadership group meets five times a year for three-day intensive sessions. They complete a project presented at graduation that supports the recommendations of the Institute of Medicine’s Report on the Future of Nursing. “What we hear most about the program is not just what the fellows learned, but the value of a yearlong fellowship and lifelong relationships with their peer group,” Zager says. In addition to the bond with other fellows, the key takeaway for participants is learning their own leadership style — learning how to lead with their strengths and build teams to meet challenges. “I had a number of ‘Aha!’ moments,” says Jan Bellack, who was in that first class of 12 fellows in 1995. President of the Massachusetts General Hospital’s Institute of Health Professions and editor-in-chief of the peer-reviewed “Journal of Nursing Education,” Bellack also has held many leadership roles in nursing education both in and out of South Carolina. Nurse leaders are at the forefront, leading changes in health care delivery and policy. Bellack says the skill is essential for nurses helping overwhelmed families understand what is going on during a health crisis so they can make good decisions. The only thing missing from the leadership program curriculum, Bellack says, is Amy Cockcroft herself. To apply for the Amy V. Cockcroft Leadership Program, email director Lydia Zager or program assistant Cristina Corbett. For more information, visit the Amy V. Cockcroft website.